Thank you for your interest in Northern Fruit. 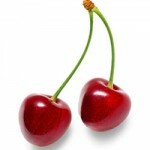 Please Use this form to submit an application for Cherry Season. We will add your number to our text messaging service only after getting hired. If yes, a minor work permit is required with a parent signature. Parents work at Northern Fuit or Ice Lakes? I authorize investigation of all statements in this application. I understand misrepresentation or omission of facts is cause for dismissal. I understand and agree that my employment is for no definite period and may be terminated at any time without previous notice. Any employment is contingent upon satisfying the requirements of the US Department of Justice form I-9. THANKS FOR YOUR INTEREST IN NORTHERN FRUIT!